Last week, I mentioned that I would talk more about the lean forum I attended. The theme of the forum was leading lean. Several speakers presented and they all did a fantastic job. One of the speakers was Jamie Flinchbaugh of the Lean Learning Center. Jamie outlined five leadership moves that demonstrate lean leadership. Over the next few posts, I thought I would share the message and how I personally have exhibited the behavior positively and negatively, because we all must learn from our mistakes. I have spent many hours in front of classes teaching lean principles and lean tools to others over the last 10 years. 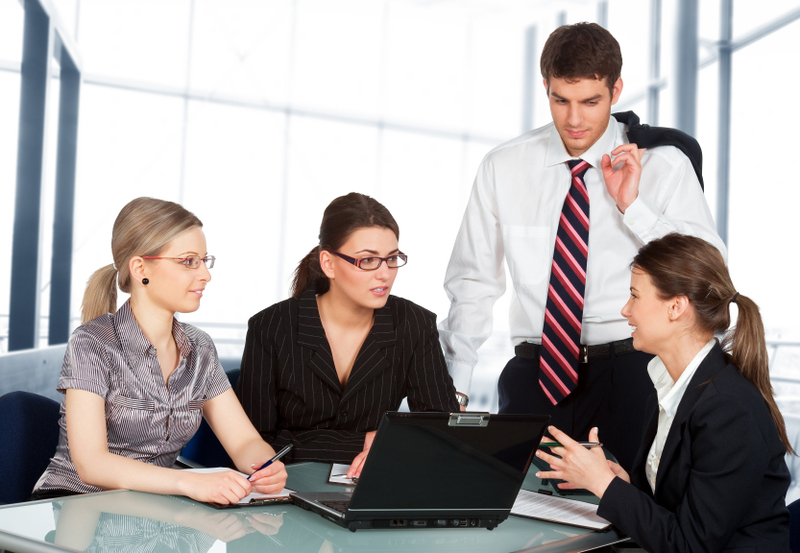 I have even spent a lot of time with individuals coaching them in their work environment. Being patient with them until they start to see something in a new light. It is very rewarding when someone makes positive changes and you can see it. Where I have struggled is with role modeling. Not that I don’t strive everyday to live the lean principles, but am I doing it where other people can see? By nature, I am an introvert and I don’t seek out approval. What this means is when I am living the lean principles well, I don’t show others. Jamie even mentioned this feels like bragging and showing off which is exactly how I felt. But, it isn’t. It is leading and teaching others that it can be done. It has to been known. Will I make mistakes. ABSOLUTELY! Part of the teaching is showing that I have made a mistake and learned from it because we aren’t perfect. So I ask you, are you a teacher only inside the classroom or are you a teach outside the classroom as well? The answer is yes I did. Usher made that comment about a week ago when asked about his thoughts on coaching his last remaining team member. The comment struck me because I have had the same experience when being coached and when coaching. The people that have coached me I feel that we have become friends as well as the people that I have coached. Being a coach is more than just giving instruction, whether it is in business, sports or life. When you are fully vested in coaching you care about what happens to the other person. When you truly care it is hard not to become friends or develop a more lasting relationship. We may say we are coaching a lot of different people but when it comes right down to it we really only coach a few people at a time. It becomes too intense to do anything more. We may instruct or guide others, but when it comes to coaching there is much more of a personal investment. Usher wasn’t the only coach to make similar comments. I noticed that other coaches on The Voice have said the same thing about caring for their team members they coach. Who has coached you? Do you still talk with the ones that really had an impact on you whether it be sports or business? Problem Solving…Keep It Stupid Simple (as in really simple). Recently, this is the valuable lesson I learned in coaching problem solving using an A3 to show the thinking. Typically, when I have coached problem solving using the A3 I have had the A3 broken down into big sections (Background/Business Case, Current State, Problem Solving and Root Cause Analysis, Action Plan and Results). Under each section there were more segments that broke down the process to help try to go through the problem solving step-by-step. With another group, by necessity, a colleague and I informed them of what an A3 was, gave them a 20 minute high level explanation on the big sections and a single point lesson to help guide them. A week later the three A3s we saw were probably the best first pass A3s I have ever seen. There was still some learning and some tweaking to do to tell a good story but overall they were very good. Upon reflection, people that got the minutia explanation were trying too hard to “fit the form” and not use the A3 to show there thinking. The coaching became much harder and the people kept focusing on filling the A3 out correctly. This cause frustration and in a lot of cases people didn’t want to use the A3. The group that got the high level explanation felt the freedom to explain their thinking any way they saw fit. The A3s were quite different but they all had the big segments (at least through the areas they have progressed). The questions and coaching around these A3s were much different. More around different modes of thought and next steps in the problem solving process. Not what do I fill in here. Just like physical processes…keep it simple when teaching and coaching problem solving using the A3 as a tool to make the thinking visual. What are your experiences? Is simple better in your eyes? Today’s focus is on All Things Workplace. The blog is written by Steve Roesler. Steve is a leadership coach and has worked with many organizations. The blog isn’t necessarily about lean, but Steve talks about many things lean thinkers struggle with. One of Steve’s most recent post talks about ways to be coachable. He talks about the characteristics of someone who is coachable. It is a great insight to understand the roadblocks you may have in coaching someone or shine a light on why you may not be receiving coaching very well. Lean implementers are leaders of change. We struggle with change management and the human factor involved in wanting to change to new way to do something. Here Steve talks about how to prepare people for change. A characteristic of a good lean leader is the ability to keep learning. In this post, Steve suggests that smart people are people that keep learning that is why they can do so many things. I encourage you to read Steve’s blog. There are a lot of subjects related to lean and leadership there. The lean philosophy is one that wants to see everyone get valuable and honest feedback in order to improve. Giving honest feedback to a person shows respect even if the person may not want to hear it. When coaching this can be very hard to do, but it is needed. Steve Roesler posted a blog entitled “How to Build Your People.” In the post, Steve mentions his thoughts on what a coach should do. I was thinking about the things an executive coach really does–or should be doing. One of the most important is this: Seeing people for who they are, realizing what they can be, and helping to take them there. I agree with Steve on this point. Putting it into practice can be a very hard thing to do. Sometimes people think they already know it all. They have don’t know what they don’t know, making influence a much harder task to accomplish. Sometimes the mindset is they got there by doing things the old way so why change. This can be hard to overcome too, but in my experience these mindsets are easier to overcome. To me this is a third category of people. These are people that want to learn and apply but just don’t know where to start. These are people that can be influenced. It is not only a task of a coach but also of the individual to let people see their value. Steve believes that letting people know who you really are is a way to show your value. If you want your talent to be valued, you’ve got to let people around you know who you really are. Make it impossible for them not to see you clearly. This goes back to being transparent and honest. If we want to build the people around us we must know who we are and then understand who the people we are helping are and get them to see it too. Train and Do. Do Not Train Then Do. I have read about three quarters of the Toyota Kata by Mike Rother. It is a very good book. One that provokes a lot of thought even from people that have been implementing lean for a long time. This post isn’t a book review of the Toyota Kata. 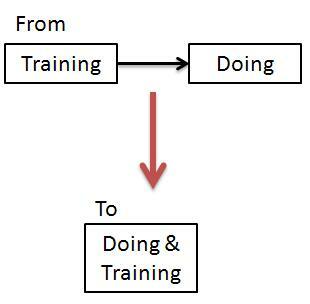 It is a reflection on a point made my Mike Rother in the book about training and doing. In the book Mr. Rother talks about moving from a system where we train in the classroom and then ask them to go out on the floor and do. Instead, the mentor needs to be with the mentee on the floor training and doing at the same time. Below is a graphic to try and illustrate that it isn’t two steps, but one combined step. As I thought about this, I remembered some of the coaches that I got the most learning from. In every case, the coach was out on the floor with me observing me learning and resolving the problem. The coach invested a lot of time in me. He made sure I was thinking about the problem in every way possible and would ask questions and guide me when he saw I was off course. In contrast, I had coaches that would train me in the classroom and then give me an assignment. The coach would come back a week or month later and see how my work had progressed. The coach would try to get an understanding of my thinking but it would be hard. I learned but not nearly as much or as fast as when I had my coach there with me as I worked. This isn’t an indictment on the coach. It was just the way the process was set up. It may seem that having coaches for a lot of employees that can spend time with them on the floor is not feasible. In our current system and thinking that may be true. What is amazing is that Toyota has found a way to do it. Leaders at all levels are coaches to their employees so they are training and doing at the same time. This creates hundreds of coaches training and doing on the floor across the organization. Our organizations may not be able to do this right away. If it is truly important to the company to create learning an investment will need to be made. Start small. Get a few people coached and then have them coach. Slowly let it spread. Start with a small part of the organization. It allows for experimenting with the training and doing process before spreading it. I know this is easier said than done. It was a method that worked for me in the past. To show how slowly it can move, I was coached and then I coached 5 others and then they started to coach. Just to get to that point took 3 years. That started with a base of one, just me in our plant. The whole purpose was I was there with them training on the floor as they were doing. It is definitely a huge commitment. I believe this huge commitment and slow process is why organizations are not successful at it. It takes patience. I hope your organization is willing to make the commitment. Over the last 5 years, I have read a lot of books, articles, and blogs about lean. At first, I read about tools and concepts. Then I started reading about the people and management side of lean. Now I read about determining my own strengths and weaknesses and how to become a better coach. Books on the subject of coaching talk about how as mentor it is best to coach the mentee to a process. That way way the mentee starts to learn the process and takes ownership for the solution because it is something they designed. Teach the mentee to fish, so to speak. After reading several books and articles, it finally dawned on me that all of this material had an underlying assumption to them. 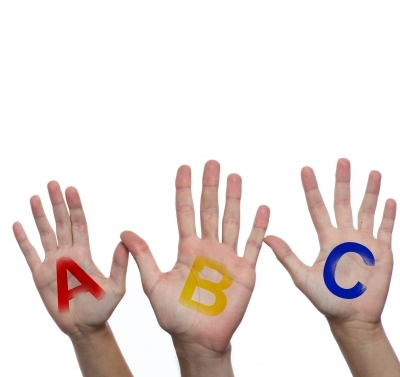 The person receiving the coaching or mentoring has developed some basic skills. In the case of the fishing metaphor, the person knows what a fishing rod is and what casting a line is. In the lean world, the mentee knows what 5S, visual management, or kanban is. They may not know the purpose of the tool or when is the appropriate time to use the tool, but they have some concept of what it is. The mentor is there to help this person understand the purpose and time to use the tool by coaching to a process and not giving the solution. What the books don’t tell you is that you need to be a teacher too. A teacher is someone who can educate about the tool and concept. Teaching adds tools to the toolbox, so a mentor can help the mentee use that tool. It does no good to coach someone on making a problem visual if they have not heard of or know about visual management. You have to step back and teach them about visual management and then coach them through a situation that uses visual management. There are several ways to teach. One is in the classroom. Give training on what something is so people are exposed to it. Another way is during a project or problem solving. Teach a new tool or concept as it is being applied so the mentee learns about the tool and can see it in action. Sometimes I think we assume that people know what we are talking about as coaches and that is dangerous. If you are coaching someone and it looks as if they are not understanding or making progress, take a step back and ask yourself if they need to be taught something first and then coached. 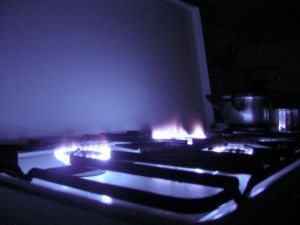 Have you ever had to tell a kid, “Don’t touch the stove. It is hot.”? Having two young ones myself, I know I have. I care about my kids and don’t want them to get hurt. I want to protect them. Sometimes though they just don’t want to listen. They want to fight me on everything. I don’t like it, but there has been a time I had to just let them touch the stove. They burned their finger, but they learned the hard way that I was trying to protect them. They won’t ever touch the stove again. Sometimes I feel this same way when I am teaching/coaching people at work on lean. Someone is heading down a path of certain failure. Failure I have personally seen many times. I try to explain to them why the path they are taking will fail. In the end, I have to let them experience it for themselves. They need to travel down the path and reach failure. In essence, let them touch the hot stove. At first, this was very frustrating because I saw it as a waste of valuable time. If they would have just listened, we’d be there already. I have changed my perspective. It isn’t a waste of time, but an invaluable experience. The person has learned for themselves and will never forget that learning. It has been internalized. Also, as I am teaching/coaching this person, they become more open to my suggestions in the future. Both of us burning our hands the same way, is like a passage into brotherhood and now we both have deeper understanding and trust in each other. In order to be a good teacher/coach/parent, sometimes you have to let them burn their hand on the stove. It isn’t easy because you want to protect them, but in the end they trust you more and your guidance is accepted more.